The process of human life is the process of looking for oneself. But is everyone clear about themselves? Or are we particularly capable of recognize ourselves? Just knowing about ourselves does not mean knowing ourselves clearly, but knowing the whole situation of our circumstance is the real cognition. When playing poker games you would know this, but we provide some tools to know yourself as well as know others. 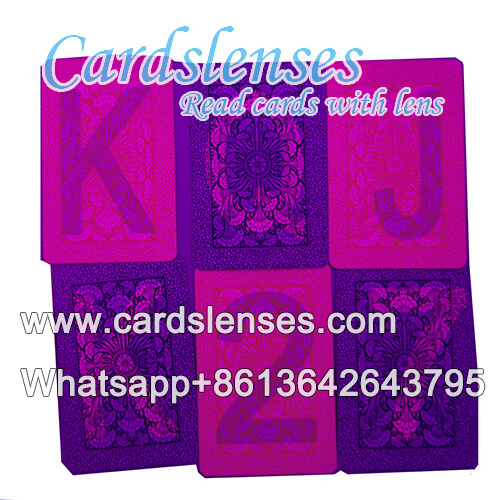 They are special lenses can see invisible marks and Fournier No.12 marked playing cards, You can see your own cards as well as see others cards. Fournier No.12 playing cards we are selling are paper material and small index. Two kinds of Fournier No.12 deck are available, one contains 40 cards with one guarantee card, another contains 50 cards with one guarantee card. The size of both decks is 9.5cm×6.1cm. You can choose to mark your cards with big or small font or you can follow our suggestion for you. After you buying marked Fournier No.12 cards and make combination with our contact lenses, by knowing others cards counts in poker games, you can know which position are you in, buy marked cards and special contact lenses, and this is the process to find the position for yourself.